Automotive seating and electronics supplier Lear said it agreed to acquire EXO Technologies, a GPS technology firm based in Israel, to boost its connected vehicle systems. EXO Technologies, which also has facilities in San Mateo, California, offers products that provide pinpoint positioning without terrestrial base-station networks, Lear said in a statement on Monday. 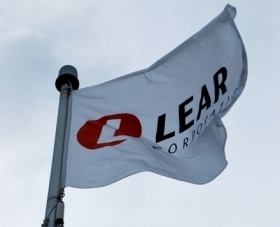 "The acquisition of EXO Technologies will provide Lear with a differentiated technology to significantly improve GPS accuracy and reliability, thereby enhancing vehicle safety and enabling autonomous driving," Lear CEO Matt Simoncini said in the statement. "... We see excellent growth opportunities for our E-Systems business as the proliferation of connected and autonomous vehicles will drive increased demand for improved accuracy and reliability in vehicle positioning." Lear did not immediately return a request for more details. In April, Lear closed on its acquisition of Grupo Antolin's automotive seating unit in a deal valued at $307 million on a cash and debt-free basis. Lear is ranked No. 9 on the Automotive News list of top 100 global parts suppliers with $18.6 billion in worldwide sales to automakers in 2016. It reported third-quarter 2017 revenue of $5 billion.